LADIES NIGHT at The House, Friday 20th November 2015! 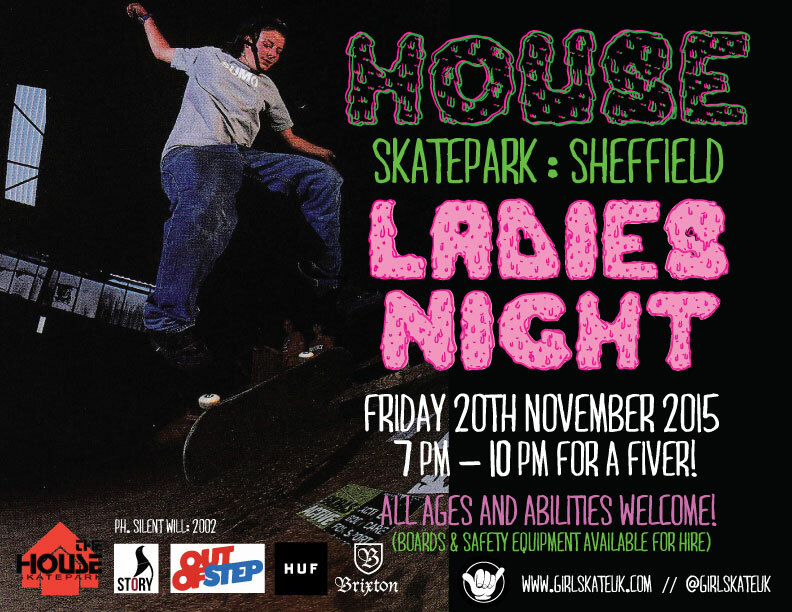 On Friday 20th November we’ll be hosting our first ever girl skater event when Girl Skate UK brings Ladies Night to the House. From 7pm – 10pm we’ll be giving up the park to women on wheels. It costs £5 to ride for the whole evening, and whatever your age or level of ability we promise a warm welcome. Although it probably doesn’t need saying, this is a girl-only event supporting the growing girl skater scene. Hope to see you down!